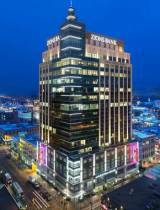 Stark & Associates Commercial Real Estate is a commercial firm based in Reno, Nevada that serves the Greater Northern Nevada market. In April 2019, Stark & Associates is opening its Boise, Idaho office. Stark & Associates Commercial Real Estate specializes in representing Buyers, Sellers, Landlords and Tenants in the acquisition, leasing, and disposition of Office, Industrial, Apartments, Land, Investments, and Retail properties as a fully licensed independent commercial brokerage firm for the state of Nevada. 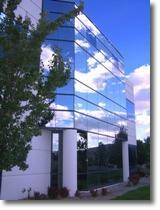 Stark & Associates is centrally located at 9855 Double R Blvd., Suite 200 Reno, Nevada 89521. If you are in the market for a commercial or industrial property in the Reno, Sparks, Fernley, Carson City, Minden, Fallon, or Dayton markets, Stark & Associates Commercial Real Estate is ready to help you or your business locate the right property or properties to suit your specific commercial or industrial real estate needs. Whether you or your company are local, national or internationally-based, Stark & Associates Commercial Real Estate provides full service real estate brokerage including: tenant and landlord representation, development, real estate relocation services, commercial property evaluation, Reno/Sparks market summary reports, real estate consulting, and site selection for new apartments, office, industrial and retail properties. Stark & Associates Commercial Real Estate sets the standard for brokerage firms in Northern Nevada through dedication to clients’ needs, 70+ years of combined experience in local commercial real estate transactions, and a proprietary database that tracks the available commercial & industrial property inventory in the greater Reno/Sparks and Northern Nevada market. Stark & Associates Commercial Real Estate was founded in Reno, Nevada by Ken Stark, who has specialized in commercial real estate for more than 20 years. Please click on the links to find out more about Stark & Associates, Reno/Sparks Commercial Real Estate, Ken Stark; or for others in our office please click Our People for other associates. Copyright © 2019 Stark & Associates Commercial Real Estate - Reno, Nevada. All Rights Reserved.